Alayne will be presenting on land management for horse owners. She will have recommendations for how to optimize small acreage for horse and land health, pasture and paddock design, how to manage mud and manure, considering climate change, and more. Other speakers at the conference will cover topics including tick-borne diseases, equine neuroscience, enrichment, and hoof health. 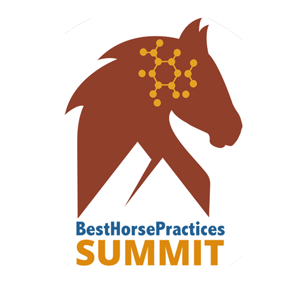 The Best Horse Practices Summit will be held at Pineland Farms, a beautiful facility with opportunities for trail riding, attending horse-related events, and visiting the coastal cities of Freeport and Portland. Registration for the summit opens on April 1st and is limited to 200 participants. Be sure to save your spot at what is sure to be an incredible opportunity to learn how to make life better for you, your horses, and the environment.